The mainstream media and Democratic party would like you to believe the Kremlin, even Russian President Putin, gave Russian hackers direct orders to meddle in the 2016 presidential election. A new explosive claim by Radar Online may destroy the ‘Russia collusion’ story forever. GOP operative Jack Burkman claims Seth Rich leaked DNC emails to Natalia Veselnitskaya, the same lawyer who met with Donald Trump Jr.
New shocking evidence helps churn the theory that late former Democratic National Committee staffer, Seth Rich, was the Wikileaks source who helped hurl the 2016 presidential election into chaos, RadarOnline.com has learned exclusively. Jack Burkman, a GOP-connected lawyer who has been probing Rich’s death since the fall of 2016, tells Radar that Russian lawyer, Natalia Veselnitskaya, who met Donald Trump, Jr. at Trump Tower in New York City in June of 2016 also met — around the same time — with the murdered DNC employee. Burkman reveals to Radar, a current Democratic National Committee staffer, who contacted him with this information on July 20, 2017, told him that Rich provided Veselnitskaya with a cache of stolen DNC emails at their meeting that may have, later, comprised the July 22nd WikiLeaks document dump. As Radar has reported, there’s a theory that the Russians meddled in the U.S. Presidential election to benefit Donald Trump. 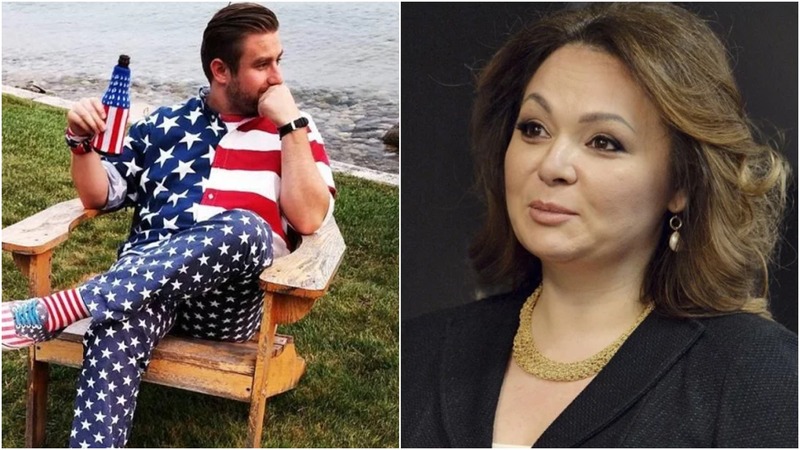 News that Seth Rich may have transferred DNC emails to Veselnitskaya comes as the Russian hacking theory is on its last leg. The Gateway Pundit previously reported DNC email time-stamps and download speed times strongly suggest the files were not hacked — but rather obtained locally. Importantly, The Forensicator concluded that the chance that the files had been accessed and downloaded remotely over the internet were too small to give this idea any serious consideration. He explained that the calculated transfer speeds for the initial copy were much faster than can be supported by an internet connection. This is extremely significant and completely discredits allegations of Russian hacking made by both Guccifer 2.0 and Crowdstrike. This conclusion is further supported by analysis of the overall transfer rate of 23 MB/s. The Forensicator described this as “possible when copying over a LAN, but too fast to support the hypothetical scenario that the alleged DNC data was initially copied over the Internet (esp. to Romania).” Guccifer 2.0 had claimed to originate in Romania. So in other words, this rate indicates that the data was downloaded locally, possibly using the local DNC network. The importance of this finding in regards to destroying the Russian hacking narrative cannot be understated. 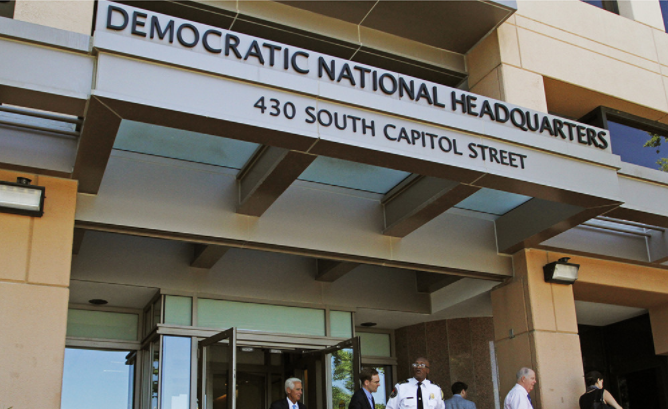 The hacker persona Guccifer 2.0 has released a new trove of documents that allegedly reveal more information about the Democratic National Committee’s finances and personal information on Democratic donors, as well as details about the DNC’s network infrastructure. The cache also includes purported memos on tech initiatives from Democratic vice presidential nominee Tim Kaine’s time as governor of Virginia, and some years-old missives on redistricting efforts and DNC donor outreach strategy. DNC interim chair Donna Brazile immediately tied the leak to GOP presidential nominee Donald Trump. If authentic, the documents would represent the latest strike from the mysterious hacker persona that has already roiled the 2016 election with leaks of documents stolen from the DNC and the House Democrat’s campaign arm, the DCCC. Earlier document dumps include the internal communications that forced the resignation of former DNC Chairwoman Debbie Wasserman Schultz this summer and fueled allegations of party bias against Bernie Sanders. The bombshell report brings murdered DNC staffer Seth Rich back into focus, who many believe may have been the WikiLeaks source for the DNC emails. Private investigators have claimed there is evidence Rich was the source WikiLeaks used to obtain thousands of DNC emails released on the eve of the party’s presidential nominating convention last July. The emails, indicating the party was manipulating the primary race in favor of Hillary Clinton, led to the resignation of former DNC Chairwoman Rep. Debbie Wasserman Schultz. On July 22, just 12 days after Rich’s death and days before the Democratic Party Convention in Philadelphia, WikiLeaks released 20,000 DNC emails. Also as WND has reported, former detective Rod Wheeler was initially hired by Rich’s parents through a third party to find their son’s killer. Wheeler alleges former interim DNC chairwoman Donna Brazille contacted the Metropolitan Police Department demanding to know why he was “snooping” after Wheeler began investigating Rich’s murder. As a result, he said, law-enforcement authorities are now refusing to provide him with more details about the case.